Manicure Manifesto: I can't believe I won! Today I got an email from Erin at Black Sheep Lacquer. She had held a contest where one of the entry methods was to send her a nail polish idea. I didn't win the whole contest but my idea got chosen to be made and I'll get a bottle of the final product! I can't believe it! My suggestion was a slightly off white crelly polish with a light gold/champagne microshimmer. 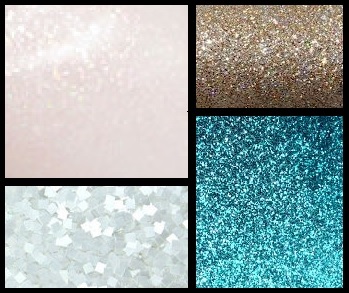 Then I would add light gold (not bright yellow-ey gold) small square glitter, sheer light teal small square glitter and and medium sheer iridescent white square glitter. This colour combo was inspired by the beach. I can't wait to see her turn my idea into a real life lacquer. In the meantime, go check out the Black Sheep Lacquer Etsy shop at https://www.etsy.com/shop/BlackSheepLacquer. I already own Into The Void and it is gorgeous! I love that color combination - I can't wait to see how it turns out!! Thank you! I'm really curious and excited to see it come to life too!